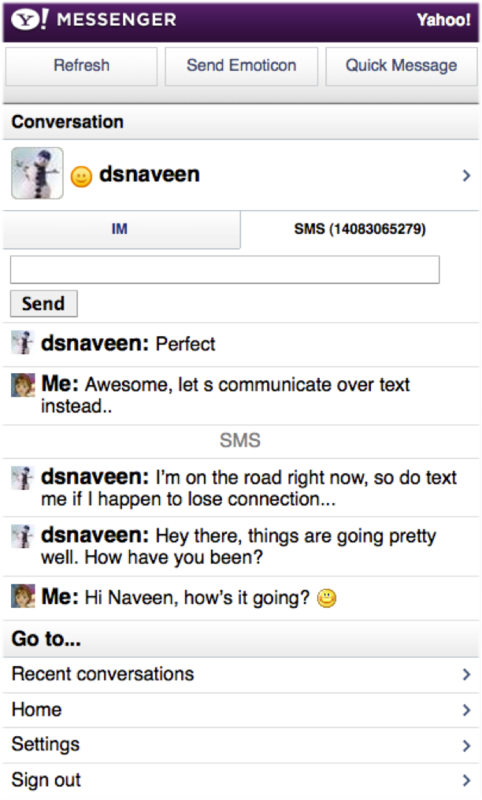 Web-based version of Yahoo Messenger Mobile now offers SMS capabilities. In addition to the usual instant messages and emoticons, you can now send text messages from Messenger to your friends’ mobile phones for free. 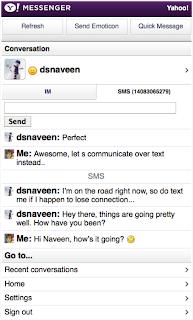 Whether you have a smartphone, or standard feature phone, if you have a data plan, Mobile Web Messenger can run on your phone. No setup is required – Just enter m.yahoo.com/messenger into the mobile browser on your phone, and you’ve got Yahoo! Messenger.